To teachers and parents: We have a number of materials to assist your children for their pilgrimage. Our greatest hope is that your children will leave with a refreshed commitment to the Gospel values which Solanus lived so well. The Solanus Casey Center, built in 2002, continues a long legacy of compassion and caring, begun by Blessed Solanus Casey and continued by thousands of caring people, like yourselves, who wish to be enlivened by faith and to spread the love of God to everyone. The Solanus Casey Center is a tribute to Blessed Solanus Casey and an opportunity for all of us to explore the richness and diversity of our faith in a loving and merciful God. 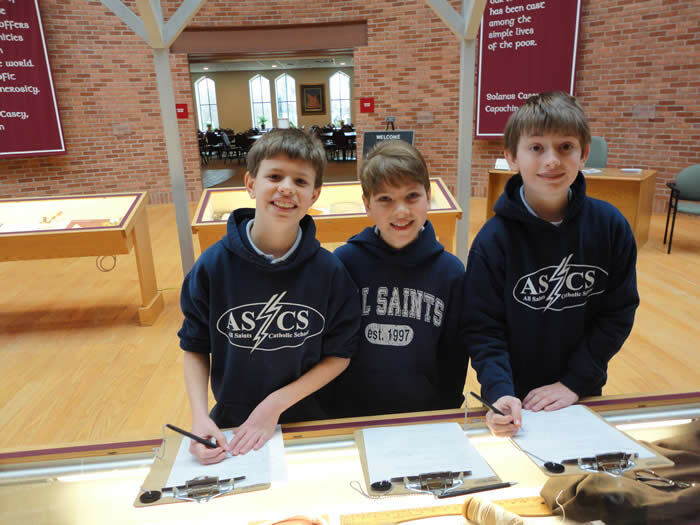 The Solanus Casey Center is a place for healing as well as spiritual nourishment. We have many guests that arrive here daily for prayer and meditation. 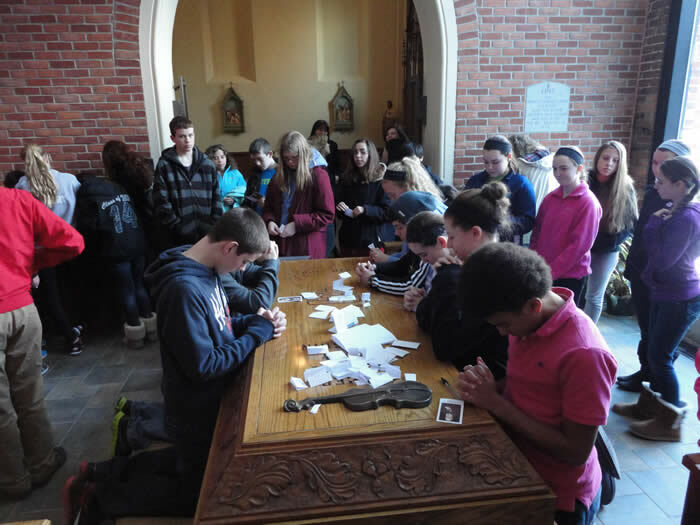 We ask that you advise your children that their trip to the Solanus Casey Center is truly a holy pilgrimage. We need to be consciously aware that our sacred space requires all guests to use quiet inside voices when visiting our Center. When praying at Blessed Solanus' tomb, please remind that this is a prayerful place and reverence is indeed required. We have a number of activities to prepare the children/youth for their pilgrimage. Click here. Lord God, you have created all things according to your infinite Wisdom. You are the true source of Light and Knowledge. Be pleased to shed your radiance upon me and remove the darkness of my mind and strengthen my will, that I may be freed from sin and ignorance. You fashion praise to your glory even on the lips of children. Bless me that my words may always give your praise. Grant me penetration to understand, capacity to retain, method and facility in study, subtlety in interpretation, and abundant grace of expression. Direct my every effort from its beginning, guide its course and bring it to perfection in your sight. All praise to you, the only true God, Father, Son and Holy spirit, now and always. Amen.